[dropcap style=”font-size: 60px; color: #9b9b9b;”]R[/dropcap]esearchers also successfully printed biological cells on the skin wound of a mouse. The technique could lead to new medical treatments for wound healing and direct printing of grafts for skin disorders. In addition to electronics, the new 3D-printing technique paves the way for many other applications, including printing cells to help those with skin diseases. McAlpine’s team partnered with University of Minnesota Department of Pediatrics doctor and medical school Dean Jakub Tolar, a world-renowned expert on treating rare skin disease. 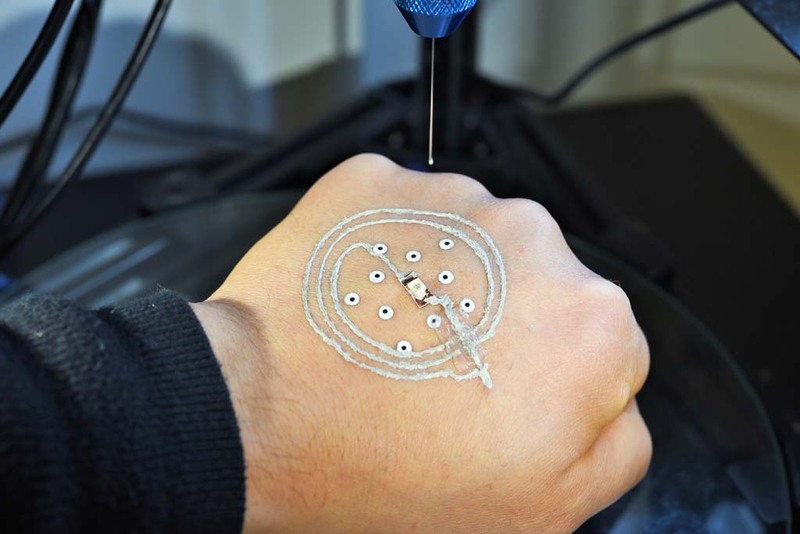 The team successfully used a bioink to print cells on a mouse skin wound, which could lead to advanced medical treatments for those with skin diseases.